Monday 19th May 2014 – 8.05pm – Murray MacGregor. A motorcyclist has escaped serious injury despite reports that he ‘flew through the air’ and was unconscious after a collision with a car in the Erdington area of Birmingham. The crash happened at just before 6.00pm on Short Heath Road at junction of Turfpitts Lane and resulted in no fewer than five 999 calls. An ambulance, a rapid response vehicle, a paramedic officer and the Midlands Air Ambulance from Cosford with the MERIT Trauma Doctor on board were sent to the scene. 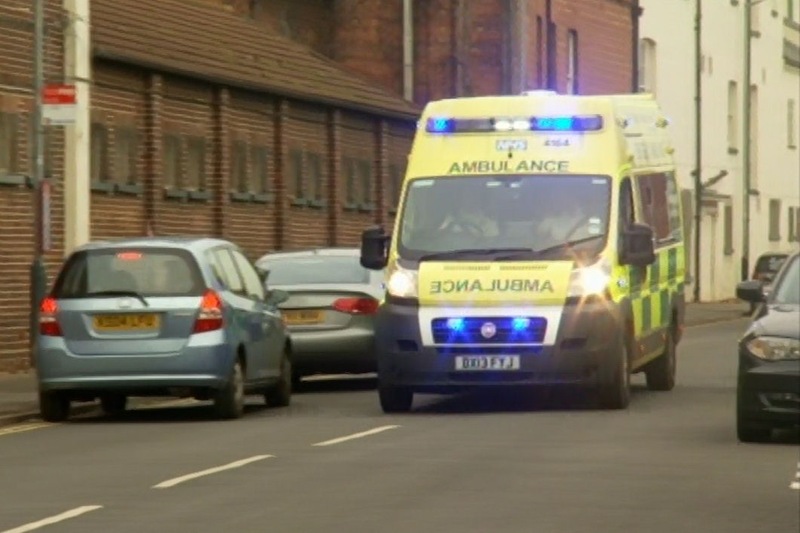 A West Midlands Ambulance Service spokesman said: “On arrival, crews found a motorcyclist on the pavement. His motorbike had suffered significant damage. “The rider, who was approximately 30 years old, had started to come round. After an examination, his only apparent injury was to his face. “As a precaution he was taken to Heartlands Hospital by land ambulance for further assessment.